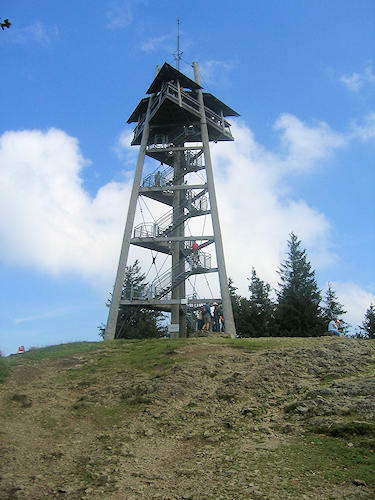 Schauinsland literally means "look at the land" and lives up to its name - in fine weather, the lookout tower on the summit offers magnificent views in all directions stretching over the surrounding Black Forest mountains and valleys, the Rhine Valley, the Voges Mountains and the Swiss Alps. 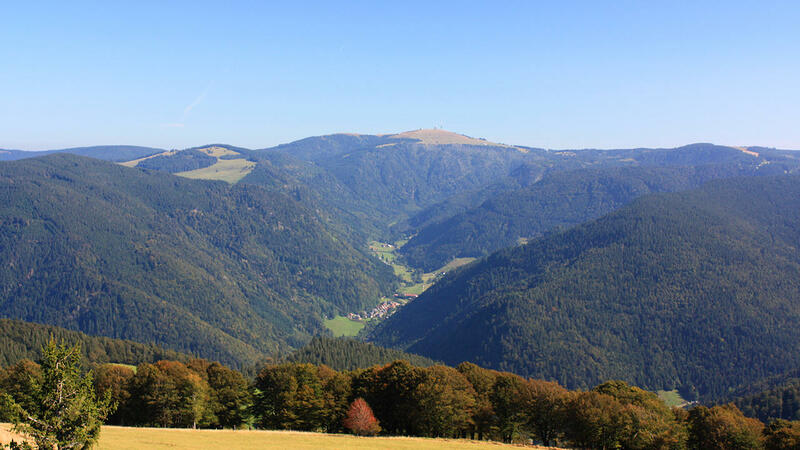 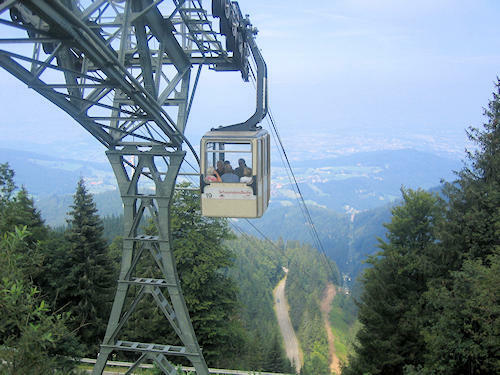 The nicest way of reaching the summit is by the Schauinsland Cableway, Germany's longest two-way cable car system (length: 3.6 km, difference in elevation 746 m). The lower terminus is in Horben and is well sign-posted from Freiburg. 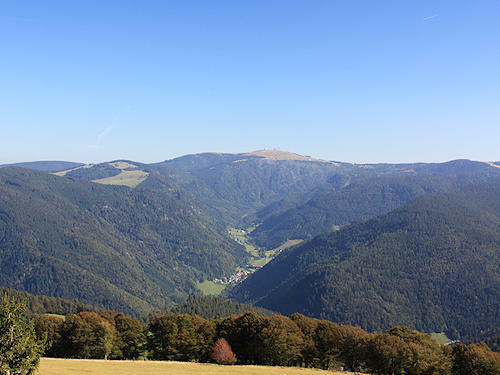 But you can also travel almost to the summit by car or motorcycle (Note: the road is closed to motorcycles at the weekend). 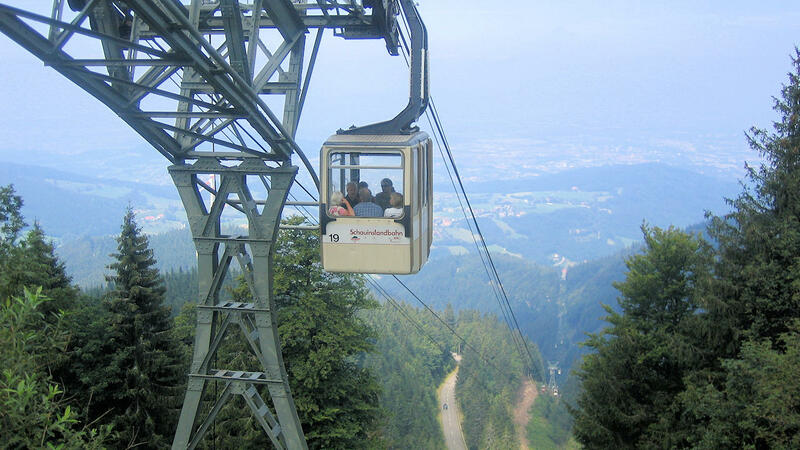 Numerous packages for the cableway and one or more leisure activities are available at the lower terminus of the Schauinsland Cableway. 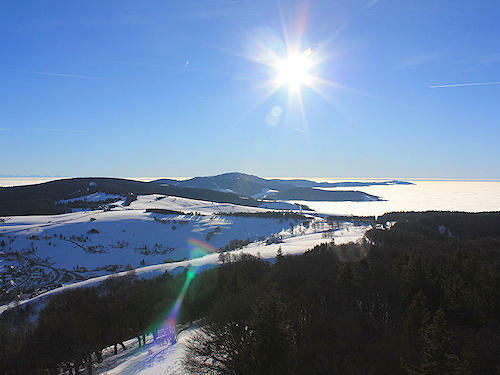 Photo: Particularly in the winter, there is often a good distance view and there are fascinating views. 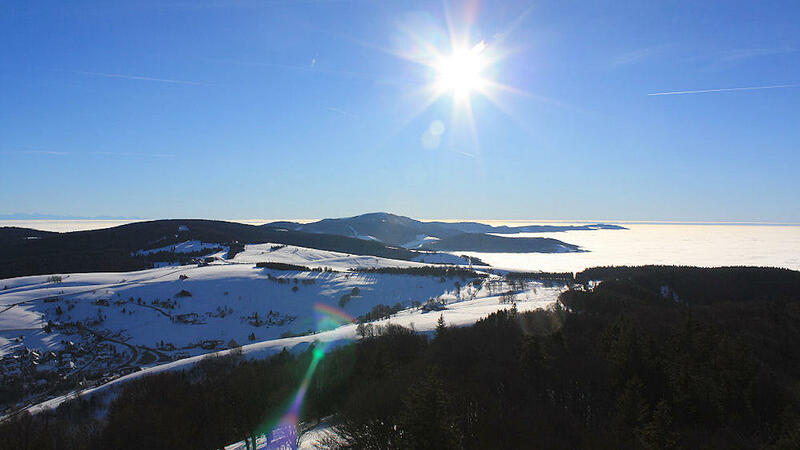 In the middle Belchen mountain, on the horizon on the left very weak to recognize the silhouette of the Alps, to the right the Rhine valley in the fog.